Home › News › Looking for Fall Colors? It won’t be long and we’ll be seeing some color around here. Fall colors are just around the corner and here’s some information from the MN DNR. It happens at about this time every year. The cause: Chlorophyll production in tree leaves slows down and stops and the leaves lose their green color. The effect: Minnesotans flock outside to behold the magnificent red, gold and orange color transformation. Whether searching for activities weeks in advance or an hour in advance, make use of the Fall Color Finder, a trip-planning tool on the Department of Natural Resources webpage (www.mndnr.gov/fallcolor) that shows the progression of fall color across Minnesota. Each Thursday beginning on Sept. 8, staff from Minnesota state parks and trails will update the trip-planning tool to help people find the finest color displays as well as fall color programs and special events. The website includes a slideshow and photo uploader so people can share their favorite images from the northernmost tip of Minnesota to the southernmost plains. As a general rule, colors peak between mid-September and early October in the northern third of Minnesota, between late September and early October in the central third, and between late September and mid-October in the southern third (which includes the Twin Cities). Peak fall color typically lasts about two weeks, but that can vary widely, depending on location, elevation and weather. 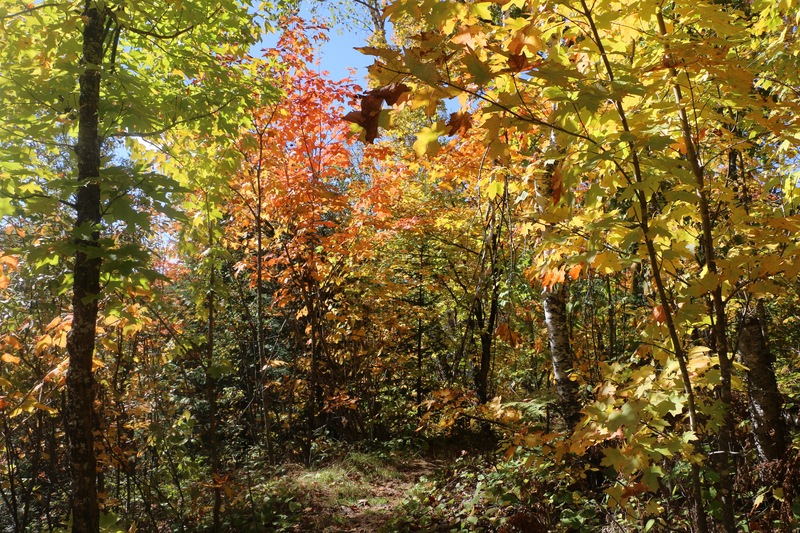 Trees at higher elevations are the earliest to show color change. For mobile device users, the DNR offers fall colors “to go” on a mobile Fall Color Finder that is integrated with Google maps. To access the fall color information in a format optimized for smart phones and tablets, go to www.mndnr.gov/fallcolor and select the “mobile page” button. The visual palette may draw people to the state’s forests and parks. Other activities may extend their stay. Consider the Mississippi River bike ride at Lake Bemidji State Park (Sept. 10) or the animal tracks scavenger hunt at Afton State Park (Sept. 10). Women can learn geocaching at Afton State Park on Sept. 11, and amateur paleontologists can take a fossil field trip at Whitewater State Park on Sept. 17. October offers a wide selection of activities, too. For a more complete listing of events, see the 2016 “Fall Programs and Events” brochure (available at Minnesota state parks and recreation areas as well as at Twin Cities libraries and outdoor retail stores) or check the online calendar at www.mndnr.gov/fallcolor. Contact the DNR Information Center to get the brochure in the mail. Vehicle permits of $5 per day are required to enter a Minnesota state park and recreation area. At the end of a visit, visitors can apply the $5 entrance fee toward the $25 year-round permit and have unlimited access to Minnesota’s 75 state parks and recreation areas. No vehicle permits are needed at state forests. Need help finding a state park or state forest? For maps, directions and other information, visit www.mndnr.gov or contact the DNR Information Center at info.dnr@state.mn.us or 888-646-6367 (8 a.m. and 4:30 p.m. Monday through Friday).